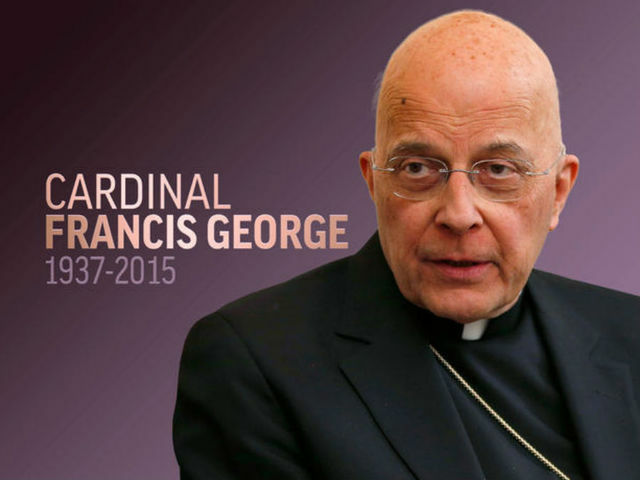 His Excellency, Cardinal Francis George, died on Friday April 17. Lord, please watch over your servant, forgive and welcome him into your loving arms. This entry was posted in Archdiocese of Chicago, Catholic and tagged Cardinal Francis George, Cardinal George, Catholic. Bookmark the permalink.